Part three of the 2014 ART CAR BOOT FAIR and what feels like the last bit of summer adventure takes us to FOLKSTONE as part of the FOLKSTONE TRIENNIAL or is it the FOLKESTONE FRINGE at the Triennial? Fringe or centre parting, whatever it is we’re at the seaside on the opening day of Folkestone’s Triennial on Saturday August 30th (Midday until late afternoon, they say 4pm, but if there’s things to paint we’ll stick around). The artist list for the Folkestone leg of this year’s excellent Art Car Boot Fair adventure has just been published on the official ACB website. Liverpool was refreshing, getting out of East London now and again is good, painting in things no one wants and leaving them there is good for the soul or good for something like that. Five days until Folkstone and the end of summer….. I expect to mostly be painting on things I find down there, putting each piece on sale at anything from £1 upwards, I expect anything that doesn’t sell will be put back on the beach or left in the car park or given away at the end of the event. I expect I shall also have some already painted small canvas pieces, painted pieces of vinyl and such, I expect I shall spend the rest of the week productively creating things but then there is Cultivate to attend to and artists to gather together and events to cook up and it may just be time to declutter and free myself from time-eater that is Cultivate…. 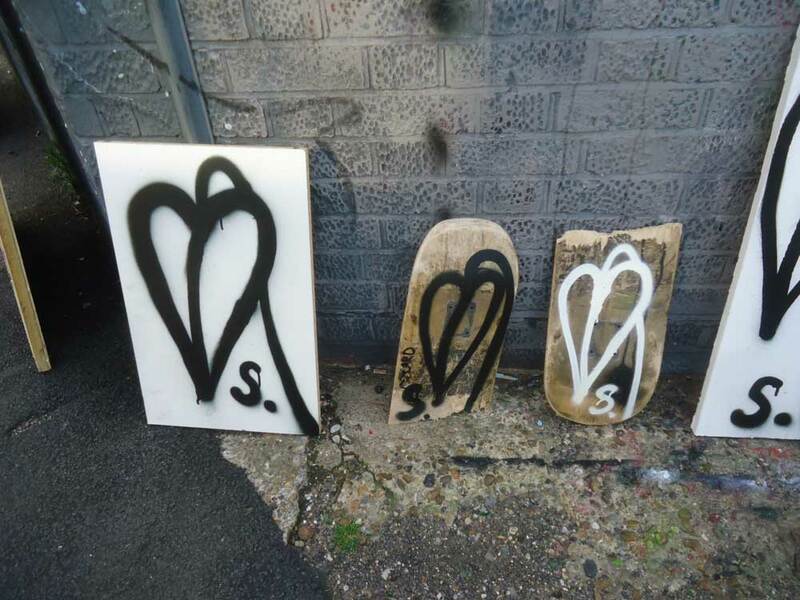 If you’re coming to Folkestone, you could always bring something for me to paint a leafheart on for you….. 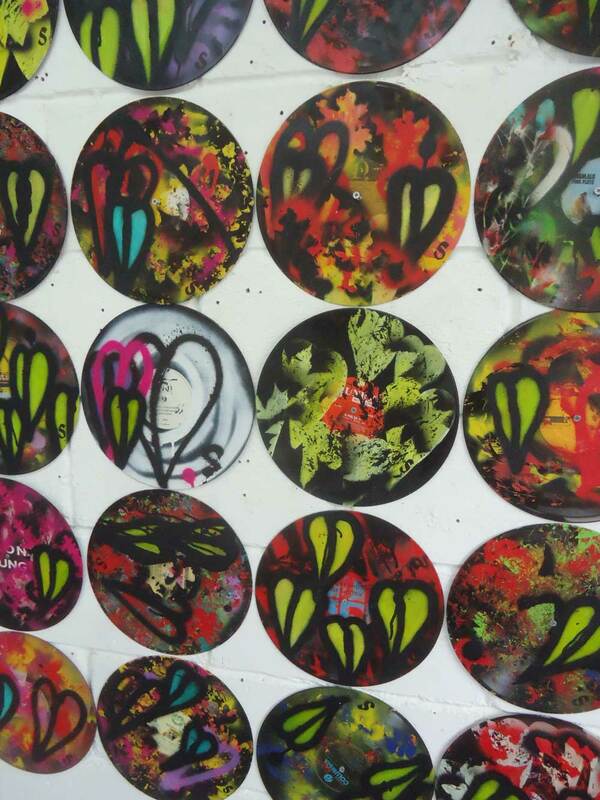 LEAF GROWTH AND SUCH AT PART TWO OF THE LIVERPOOL ART CAR BOOT FAIR JULY 2014…. Previous To blog about the paint or to get on with the paint or…. 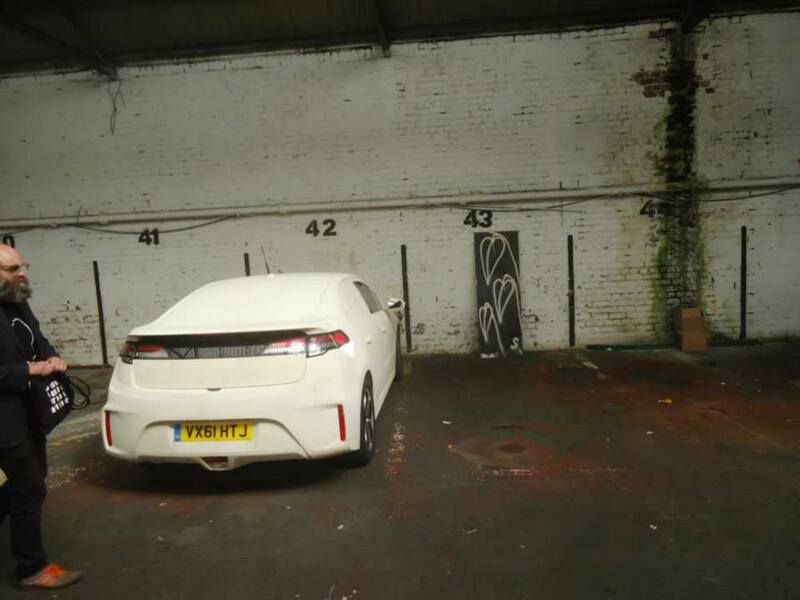 Next Folkestone, the Art Car Boot Fair, the Triennial, the Fringe, Yoko, the goldrush and pieces left around….